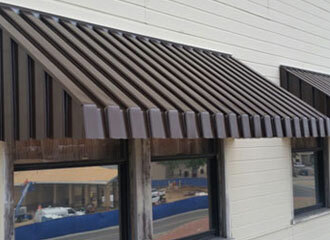 San Diego County businesses prefer Aluminum City when they seek the best value in customizable patio covers, window awnings, carports, patio room enclosures, and door hoods. 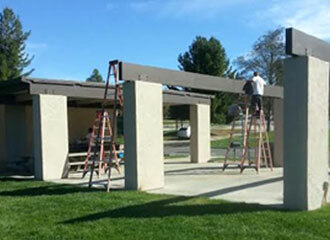 Since 1963, we have consistently provided businesses, local governments, law enforcement agencies, industrial facilities, apartment complexes, and other commercial clients in San Diego, Escondido, Chula Vista, and surrounding areas with a wide range of high-quality, budget-friendly shade structures. 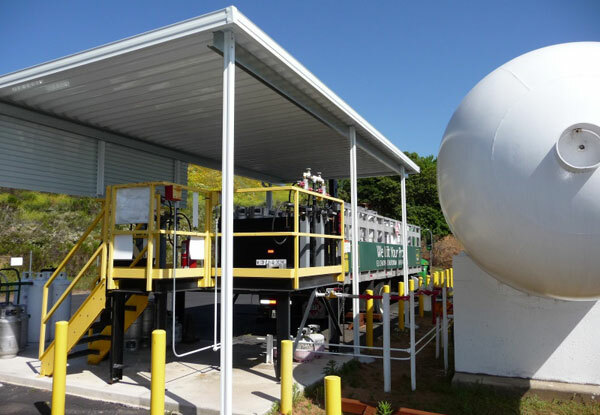 These structures are always custom designed and expertly installed to meet our clients' high standards and exact specifications. At Aluminum City, we welcome jobs of all sizes and are fully committed to ensuring that each and every one of our customers is fully satisfied with our work. 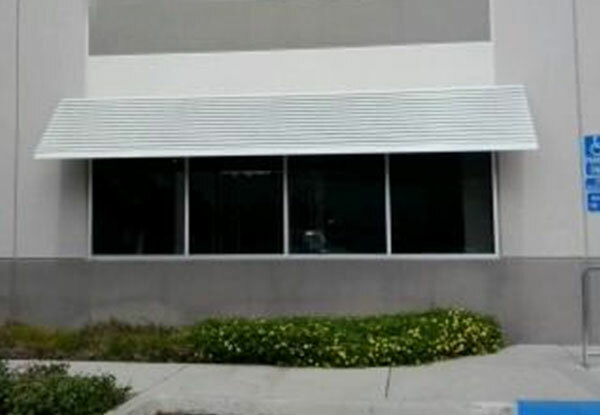 Whether your business needs a patio cover for the outdoor lunch area in San Diego, carports for your employees' vehicles in Escondido, or awnings for all of your storefront windows in Chula Vista, we will help you obtain a long lasting, effective, and affordable solution. 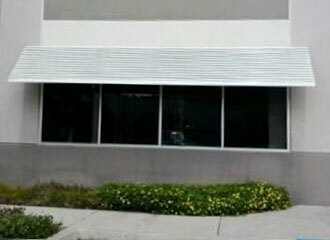 We are an authorized dealer of Four Seasons Building Products, which produces superior quality shade products. By using a thicker aluminum and baking on primer before painting it, they are able to make a more durable and versatile product. 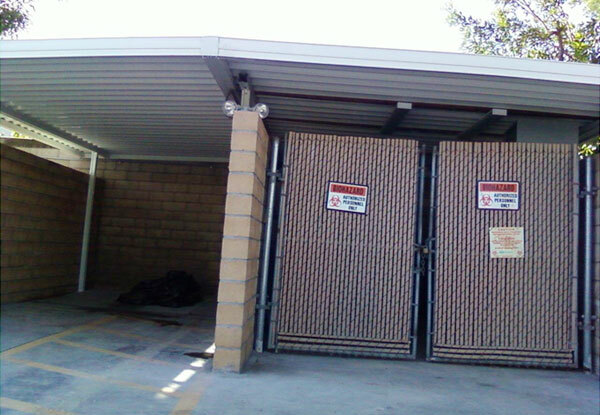 They are so confident in their products that they back all of their aluminum patio covers, carports, and room enclosures with a Lifetime Limited Warranty. Call Aluminum City today. We have thousands of satisfied clients, an A+ rating with the Better Business Bureau, and an impressive percentage of return customers and referrals. With our experienced service, quality craftsmanship, and fast turnaround, you can trust us with all of your patio cover needs. 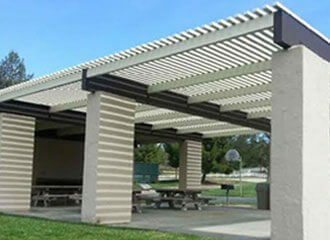 Our lattice patio covers come in a smooth or woodgrain finish and a variety of different colors, styles, and cuts. We can also accessorize them with fans and lights. Our termite-resistant, rot-proof, maintenance-free, and long-lasting solid patio covers can be freestanding or surface mounted and always come with gutters. 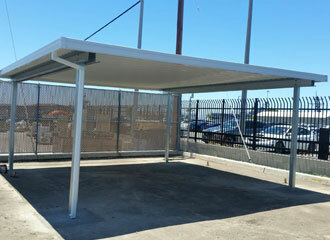 These covers can also be combined with our lattice patio cover to provide the precise amount of sun coverage you need. Options for our patio covers include six different colors, smooth or wood-grain texture, insulated roofs, four different cuts, a variety of column posts, and an electrical raceway for fans and lights. 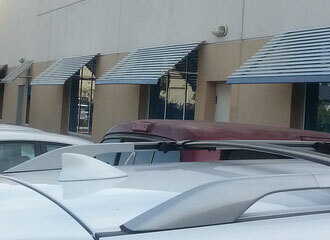 Installed in driveways, parking lots, or many other outdoor areas, carport awnings can be designed to provide essential shelter for cars, RVs, buses, and commercial trucks, as well as sensitive equipment, products, and machinery. 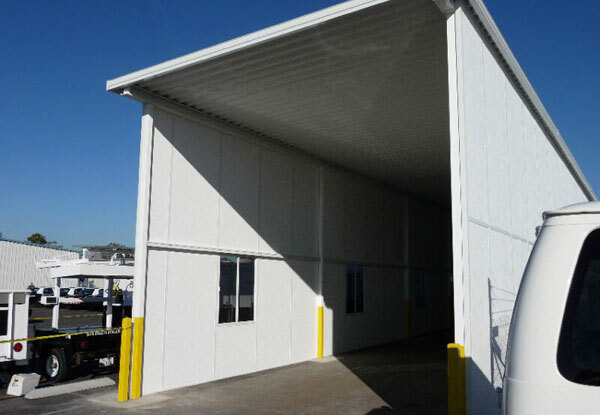 Made with low- to no-maintenance, highly durable aluminum panels with or without polystyrene foam insulation, which are locked and sealed in place, these carports can project out 24 feet and be made up to 600 feet long, easily accommodating 1 or 100 vehicles. 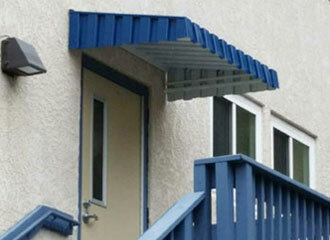 These feature overlapping horizontal slats that form a 45 degree projected mini-blind. They provide the ultimate guard against the sun without limiting the view. 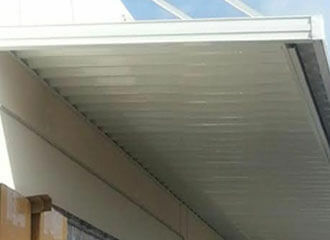 This classic style uses 3½" vertical slats to form a custom canopy with return side wings that can fit doors of any size and provide protection from the sun and rain. Call Aluminum City today to receive the best value in patio covers, awnings, and carports for your San Diego County business. We provide our clients with free on-site consultations and estimates throughout San Diego, Escondido, Chula Vista, Poway, San Bernardo, and surrounding areas. We are open Monday through Sunday from 7:00AM to 10:00PM. To learn more, call us at (619) 562-1652. 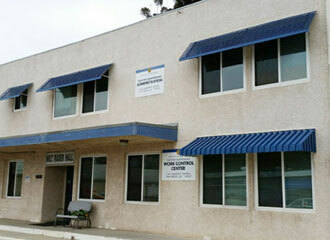 Aluminum City is licensed, bonded, and insured. 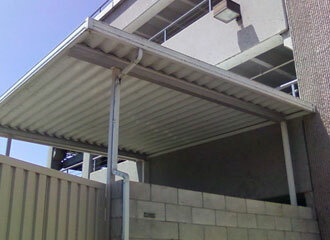 We installed this aluminum patio cover installation for a Santee home. 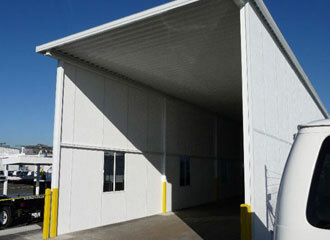 It will provide shade and protection for years to come without rusting, warping, rotting, or peeling.